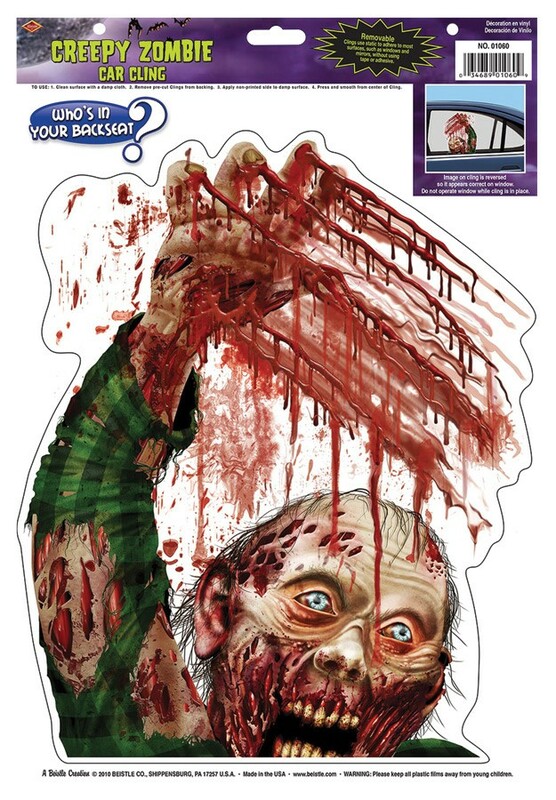 A great gag for Halloween season or any time of the year. 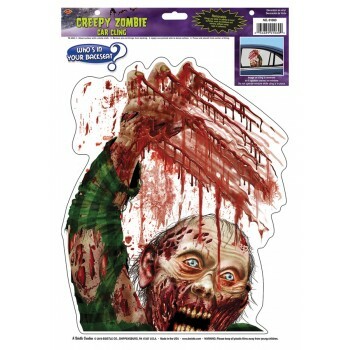 Put this cling on your car window and it looks like a zombie is riding in your car as a passenger while you drive, with his hand up and smearing blood across the window. Hideous! Vinyl. 12in x 17in sheet.